The Free Black Women's Library is an interactive altar and sculptural art piece that celebrates and honors the voices of Black women. It takes inspiration from the beautiful literary movement of book sharing, specifically the Little Free Libraries where one is presented with the opportunity to take a book and leave a book. The act, although anonymous, creates a special connection between all involved. The Free Black Women's Library presents a unique and provocative twist on this tradition, in that The Free Library will only offer books written by Black women. The Free Black Woman's Library currently houses about 400 books written by Black Women. 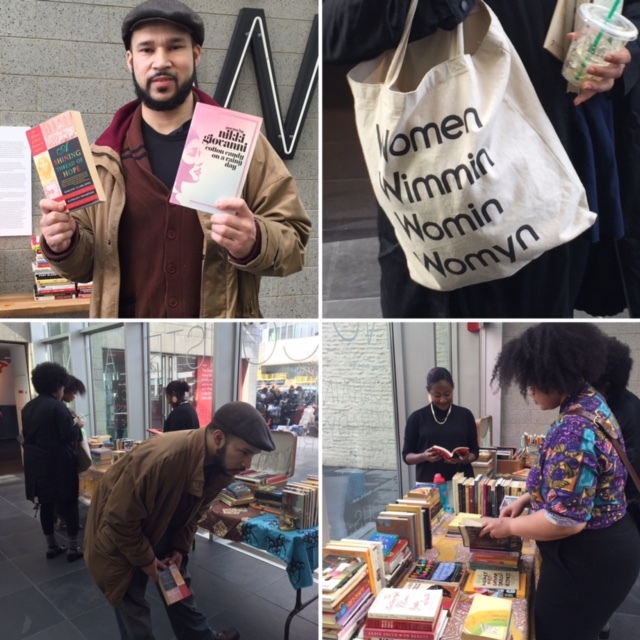 All books in the collection have been donated by participants and change constantly as community members participate in various events and exchanges. The Free Black Woman’s Library serves as an archive and sacred space, containing a large variety of thoughts, opinions, stories and ideas. By paying special attention to voices that are rarely heard within the Western literary cannon, or worldwide, the library provokes a shift in perspective, inspiring dialogue, respect, and deeper understanding. This piece presents itself as a vault of precious memories, vibrant creativity, expansive thinking and endless possibility. It is highly interactive in that it engages the viewer to dive in, give of themselves, investigate, and dig deeper. 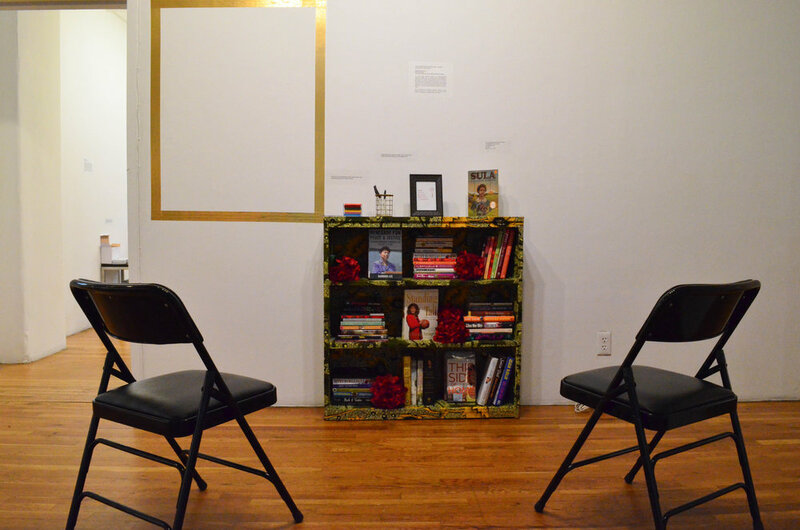 The Free Black Woman's Library is activated through salon style reading events in which the public is invited to read excerpts of their favorite words written by Black women for the enjoyment and discussion of the gathered audience. Past iterations have included readings by black female authors and poets as well as performances. The Library is currently mobile and takes advantage of community spaces like gardens, stoops, and shops, allowing the Library to create a larger community of participants. Visit the project's tumblr and instagram to find out how to donate books to Ola and The Little Free Black Woman's Library. The library is now contains over 400 books! Follow the library on Facebook or go to the website for updates and information. Olaronke Akinmowo is an artist, crafter and mother interested in exploring the various ways we connect as human beings and the ways in which these discovered connections can help us to grow and heal. She is inspired by Earth, humanity, color and texture. She is interested in creating worlds of wonder through action and creativity. She is currently leaning towards installation, movement, and construction. Through the use of her favorite materials--wood, paper, found objects, and fabric--she aims to gather energy in homage to Afro-feminist though, magic, change, and nature. She is also an artist fellow at the Laundromat Project.